This was the first time Emerson attended an OSU game. She spent the day there with her grandma. 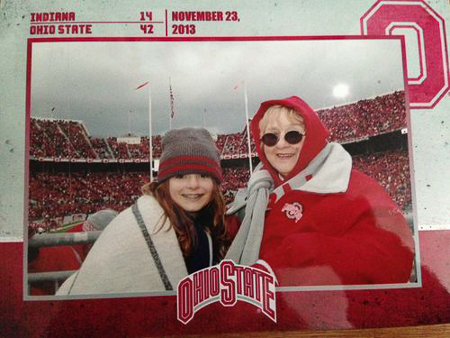 Her grandma is an OSU nut! It is amazing how packed the stands are at every game. All you see is RED.